We’re back with our seasonal feature, My Mum’s Threads, the Winter installment! For this season’s post, we’ve joined forces with some of our favorite mamas around the internet (catch their links at the end of this post!) so you can see and hear about some of their must-have items to stay looking chic and put together while on the Mom Job. But first, whether we’re wiping a nose, kissing a boo boo, grabbing lunch with friends, or running to a meeting, this is how we do it. When it’s cold out, Emily’s must haves are a thick and stretchy pair of denim to stay warm, boots with a little rock and roll edge, and pops of color to combat the white-out scenery. Jenna’s family loves to adventure and leads a really active lifestyle. 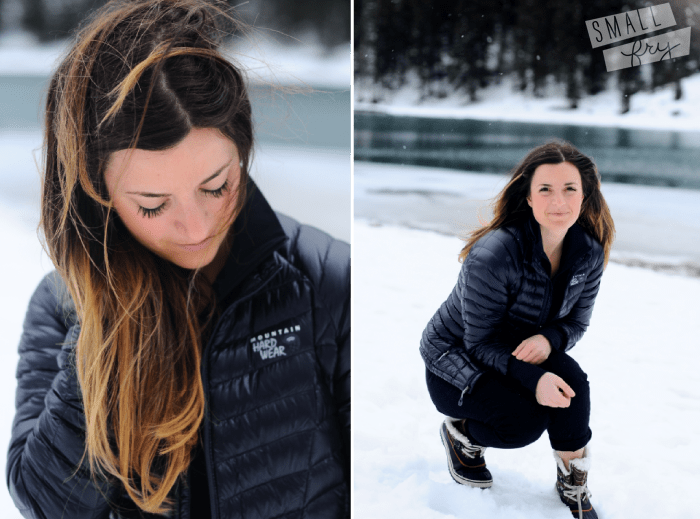 Her go to Winter looks include a heavy duty yet still shape-flattering waterproof jacket, she keeps it chic by going all black, and keeps it functional with all-weather Sorels! Nicole excels at looking feminine and party-ready no matter what the weather brings. With a thick tights, a wool pencil skirt, tough but sleek wellies, and a coat for every day of the week, she pulls it together day in and day out. “Winter is no excuse to put away my favorite feminine pieces! I love JCrew’s No.2 Pencil skirt in wool. It’s perfect for winter, and fits better than any skirt out there. I also love the short version of these Hunter boots, tall enough to keep the snow out, but lightweight enough to chase some toddlers. Since the coat is the final layer to any wintry outfit, I can’t help but collect bright and fun coats to keep things interesting. The brighter the better! And now for the link-up! Here are the rest of the awesome mamas hosting the link-up today! If you’d like to join, just add the button using the HTML coding below. 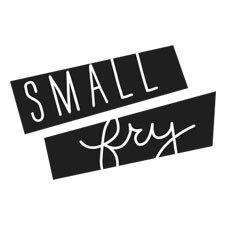 Once you’ve done that we’ll be checking out everyone’s additions and featuring our favorite three on the blog! We can’t wait to see your own mamattire shots! For outfit breakdowns keep reading! Oh I love the yellow beanie on Emily so much! It’s so bright and I believe it brings happiness to those who where it and definitely, surviving the winter. Jenna looks sporty and I love the style too! and Nicole’s outfit adds brightness too. Btw how cold is it over there? thanks! it’s on average 30 degrees here. sometimes colder. CHILLY! You all look super cute! 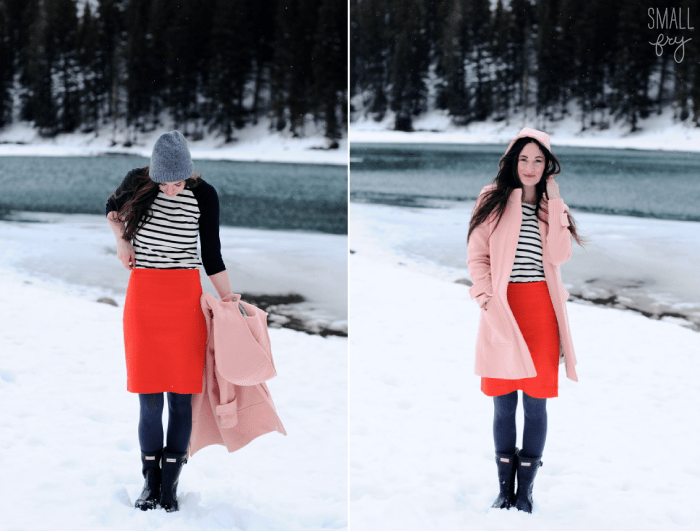 I love the red skirt with the pink coat! And that yellow hat is the best! Seriously each style is fantastic and I love how it speaks a little about personalities too. Happy to be apart of all the fun with ya. love yours! such a great link up. Gorgeous Mothers! love the sneak peek into what the Moms wear! i love a good product recommendation, and there is no question, you girls are some of the cutest. Oh, this place is so cool. I love that you are 3 mamas working together! I found you via the link-up. So happy I did! thanks for finding us! come back again! Gorgeous photos. You make bundling up so chic! All three of your outfits I love! Jenna wins for me. I love the same stuff. Crazy! you guys look fabulous. i loved each and every look! Great styles! 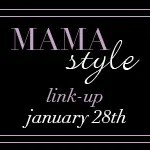 New follower through the mama style link up. LOVED seeing all the stylish mamas! Just linked up!